Or, the history could be slightly more devious. On the streets of Hamburg, it is said that when the French soldiers demanded croissants, German bakers pretended (in an act of quiet rebellion) to misunderstand. 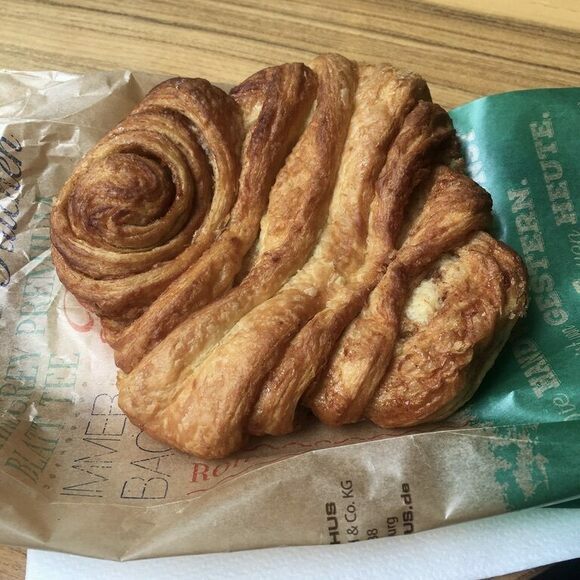 The result was something close to a French croissant, but decidedly German in taste and texture. This bakery is known for its franzbrötchen.